If well executed, these features can make browsing on your iPhone a delight. I have looked for browsers that offer an expensive feature set so as to accommodate as many kinds of users as possible. So let me take you through some of the very best browsers for iPhone with features that will make your browsing experience easier and more enjoyable. Safari also has a couple of nice features that am sure you will enjoy to use: syncing bookmarks from desktop browsers like safari and Google chrome via iCloud.It also has a reading list which saves pages to read offline later and is accessible via the bookmarks menu. It is important to note that safari does not support plug-ins and is not great with sharing links and other contents with other apps or your contacts. Nonetheless it is a free browser that is fine to use if you only browse occasionally and open links from social networks and other apps.Browsing via this browser you can download free moviesto iphone. Mercury is another free browser which has a great set of features. It packs these features into a sleek interface that lets you extend its functionality based on your usage habits. In addition to basic features like reader mode and a reading list as in safari, mercury has other features which include incognito browsing and password auto fills. Mercury lets you choose from a range of extensions which includes: a file downloader, saving to pocket and instapaper, LastPaper password syncing, screenshot tool, search in page, QR scanning and translation-all within an easily accessible menu on the toolbar. Mercury also lets you share pages via Facebook, Twitter, Google Plus, email and more. It also lets you save these pages to EvernoteDropbox. Another feature is that when using mercury you can extend sync bookmarks easily. Mercury is a competent browser that is easy and simple to use and allows for easy sharing. Using dolphin for the first time feels a little different than other browsersbut it is designed in such a way that you quickly get used to its features which will enhance your browsing experience. Dolphin browser includes ad blocking and private mode as well as a Nifty New Tab page with customizable speed dials shortcuts that you can add to from any active page. Dolphin has some special features which I will discuss below. It allows you to share the current page via Facebook, Twitter or email-you can also use it to update your status on Facebook and send a tweet without having to separate apps to do so. Dolphin supports use of custom gestures hence saving you time when browsing. You can draw your own gestures and assign web pages or browsers actions to them which make it easier to use them. It also has a feature known as dolphin sonar which lets you navigate, share and share from your browser without having to draw or type. Dolphin also syncs bookmarks and open tabs with your desktop browser via available extensions. These features are easily accessible and well implemented and I would recommend you check it out since it is free to use. This is a browser which power users will feel most at home with since it offers flexibility like no other. Customize your toolbar icon, use multi touch gestures, choose from a wide range of browser IDs to test websites and then select from a range of search engines for auto suggestions and configure how you want the browser to handle operations based on how much memory is free on your device. It includes modules which enhance your browsing experience. These modules include: examining pages using Firebug Lite, saving pages to PDF and using query Google Cache to find older versions of a page. 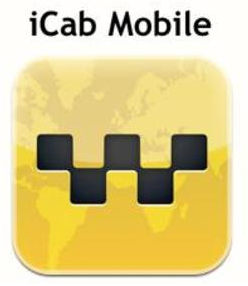 ICab mobile also gives you an opportunity to somehow control how it works by including whether the address bar should clear itself when activated and how links from the same domain of an active page should open. There are several browsers available in the App Store which really don’t have unique features but are important anyway. I will start with Google Chrome which is perhaps the most common and popular. Other than allowing you to reduce data usage by routing HTTP requests through Google’s servers and optimizing the images and data downloaded to your browser, this browser doesn’t really offer any novel features that enhance your browsing. Another browser is the opera coast which looks neat but offers little more than a new tab with speed dial. Puffing browser is another browser which is important in the field of browsing but is very dependent on US-based servers and hence can only serve data locally. 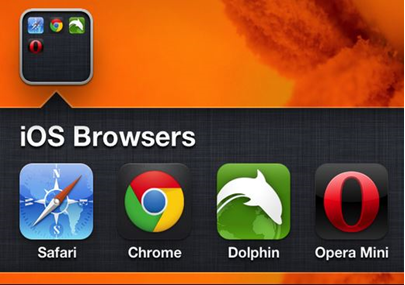 Make sure that you choose the right browser wisely that is if you are a fun browser that does a lot, dolphin is a great choice and if you are fanatical about how your apps should behave then iCab is the one for you.